The Essentials by OFM seating Collection is where quality meets value. 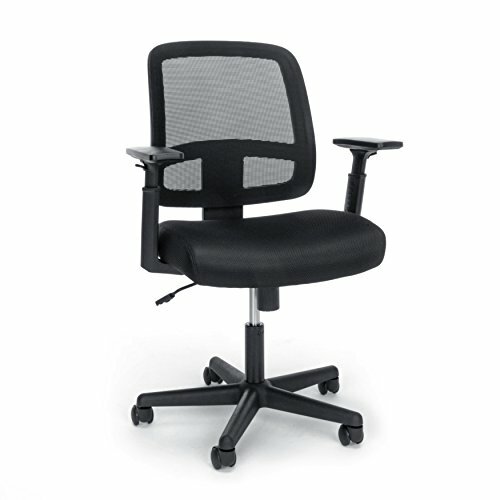 The E3035 task chair offers maximum comfort, support and functionality. Our product is engineered for performance, with features that include a breathable mesh back, durable and soft sandwich mesh, adjustable Seat height, adaptable Seat tilt, and adjustable arms that conform to your body. This chair is easily customizable to address any task in ergonomic comfort. The comfort, stylish look, and price point of this chair make it a perfect addition to the office, whether at work or at home. This chair meets or exceeds industry standards for safety and durability, and is backed by our Essentials by OFM limited lifetime warranty.